The issue of aluminum chlorides in antiperspirants has been discussed among manufacturers, scientists and consumers for years. There are different points of view in the interpretation of scientific research and no conclusive evidence I can point to, but we do know the reason aluminum is used. 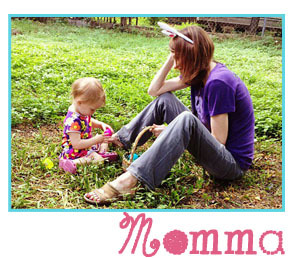 Antiperspirants contain aluminum salts because they help to plug the pores under your arms so you don’t sweat as much. If you are looking for natural products, you would look at deodorant (as opposed to antiperspirants) which is used to curb body odor and not plug pores. However, not all deodorants are the same because brands can use different types of fragrance. 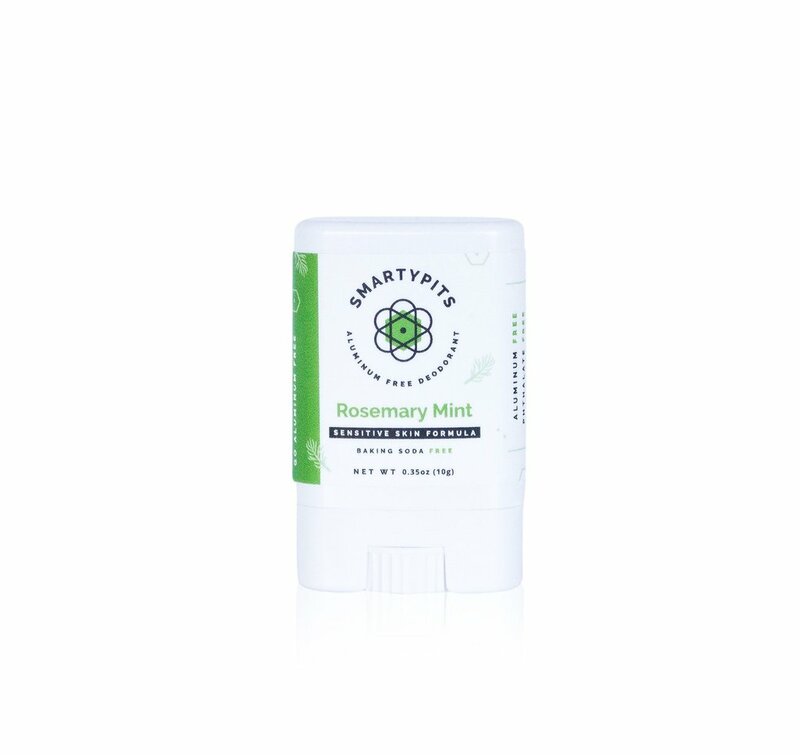 SmartyPits probiotic deodorant offers a sensitive skin variety of deodorants and has a naturally scented collection that is only made with essential oils. 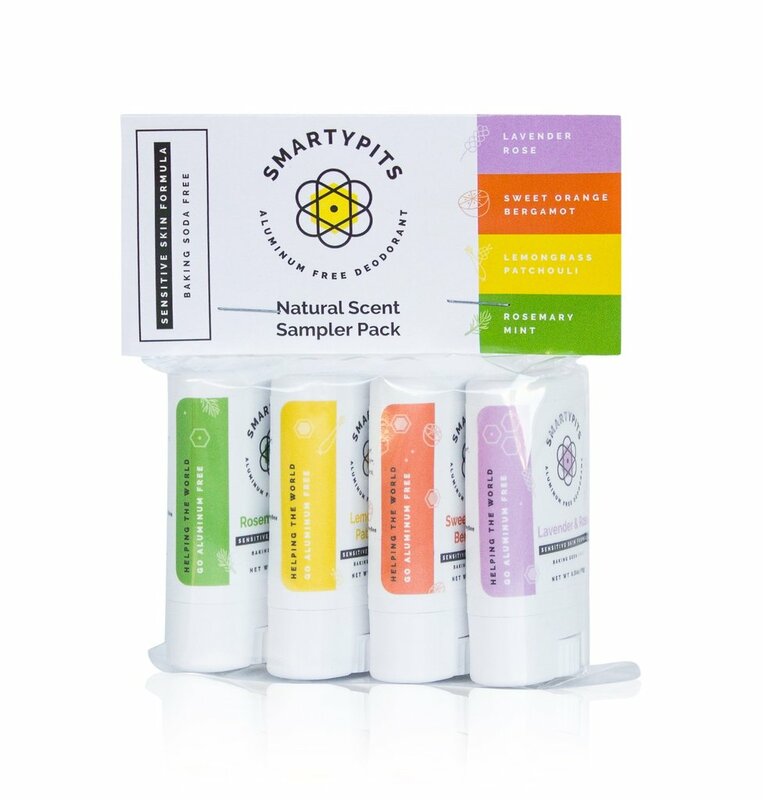 SmartyPits has a smart sampler pack of their 4 essential oil deodorants. Have you ever wondered why certain fragrances smell better on you than others? We all have different skin chemistry and we all sweat differently, so trying a new deodorant can be gamble! The mini SmartyPits sampler pack has mini deodorant sticks that are 0.35 oz each in a little twist-up tube and I found it hard to pick my favorite. The Sensitive Skin SmartyPits, the one I like, is baking soda free and has all of my favorite essential oils. The naturally scented collection includes: lavender rose, lemongrass patchouli, sweet orange and bergamot, and rosemary mint. YUM! Rosemary Mint is my favorite SmartyPits fragrance! ← LuLaRoe Back to School – Style is Back in Session!